I was chatting to the guy who runs Lay Bet Winners and well when I say chat, I mean more a heated discussion. To cut a long story short I was adamant that you can not make a profit from Lay betting only. Whereas he said he does consistently do just that. To shut me up he let me have access to his system for a few days to prove that it works. What is Lay Betting and How Does Lay Bet Winners Work? I’ve touched on lay betting a lot before. 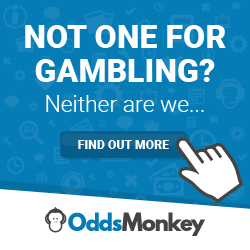 Which I use whilst matched betting to guarantee a profit. For those who do not know it is betting against a result. In the car of Lay Bet Winners that is betting against a horse to win. So if your horse wins then you lose. If any other horse wins you win. Simple as that. You in essence take the place of the bookie and make the same profit as a bookie would? This is where I said it wouldn’t work. The bookies do not make a profit on the lay market, they make profit on what is called the overrun. Without being too technical this means no matter what the result is, even if a 100 to 1 wins, they will always make a profit. Which is where the owner of Lay Bet Winners said with his knowledge of the market he puts his members as a competitive advantage! He carefully checks the market using years of experience to find the prices which are higher than they should be. This means by betting on them you will put the odds into your favour. This is not to say you will win every time. But as the odds are swung into your favour you will profit over a long period of time. Similar to what I do with my no lay betting. What is my final verdict then? I’m still a bit unsure for a long term strategy however racing-index.com does have them as the top Tipster service for the last 1, 3 and 6 months. With no unprofitable month in 2018 so far, which is a good achievement and shows they are doing something correctly.